Rain is expected to hang around most Far Northern coastline today and push temperatures below average. 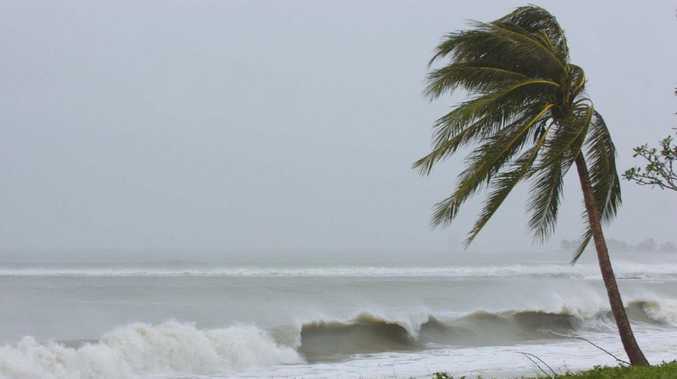 WHEN Rory Morgan and his mates booked a trip to Cairns from England, they were expecting a bit more sunshine. But the weather has turned grey and cooler than usual at the weekend, and is expected to stay the same way well into the week. Mr Morgan said it was a bit of a relief after the heatwave. "It's been a bit hot, so the rain has been a bit nice really," he said. "We thought the temperature would be in the high 30s or 40s for the entire trip." The rain is expected to hang around most of the Far Northern coastline and push temperatures below average. Bureau of Meteorology forecaster Michael Knepp said there would be consistent showers in Cairns and Innisfail today. "There might even be a few rumbles of thunder throughout the day," he said. "This rain is right along the coast, stretching down to Innisfail and up north of Cairns too." He said the rain peaked yesterday and would start to ease off a little bit today. "There will be cooler conditions coming - you won't have anything like Cairns has been experiencing for the last week," he said. "Temperatures today should be average, or even below average, with the rain." The temperature is expected to stay between 24C and 31C today, with a 60 per cent chance of rain and south to southeasterly winds blowing at 20-30km/h.